Having the right tools for the job can make any project run more efficiently. Not only is it important to have sturdy and reliable equipment, but it is important to make sure that units are compatible with one another and can be easily stored away while not in use. Commercial and industrial sites which frequently receive a large amount of cargo know that unloading and transporting items can be very time-consuming. 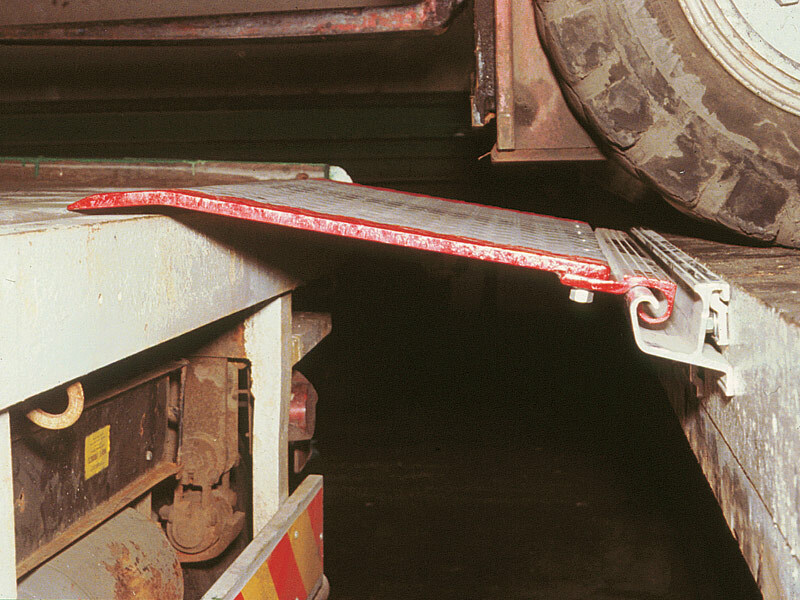 The Hinged Bridge Dock Plate is a sturdy and reliable way to make moving items on and off shipping trucks with standard trolleys much easier. What is The Purpose of The Hinged Bridge Dock Plate? Sometimes even the most rugged materials aren’t enough at a fast-paced worksite. Some popular tools and units are not designed to work with one another and this can pose numerous difficulties in a work environment. Getting shipping trollies and other carts onto cargo trucks can prove to be a cumbersome process. 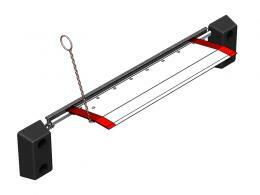 The hinged bridge dock plate is designed to be an easy-to-use attachment at any loading zone. These units can be easily attached to any loading dock and used to help trolleys access the dock with little effort. 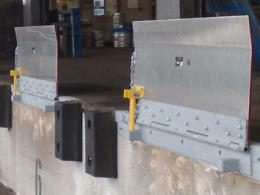 The hinged bridge dock plate can prove to be a useful addition for any loading dock. The unit can make moving even the heaviest loads of cargo much easier and can also be flipped up while not in use. Every commercial and industrial site receives shipments regularly, and getting these shipments unloaded and properly stocked is vital for success. 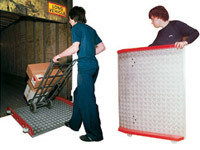 This product can improve the process of unloading and transporting goods at any location. Every shipping manager wants to have the safest and most cost-effective tools for improving productivity. These ramps are an affordable and convenient alternative to the increased manpower commonly used to handle large shipments. The hinged bridge dock plate is manufactured from high-tensile aluminum alloy to provide unmatched durability in comparison to its weight. The hinges allow it to be stored against docks and lowered when needed. The 75mm wide guidelines make it easy to position on any loading dock. Improve the speed of your loading zone today with the hinged bridge dock plate!